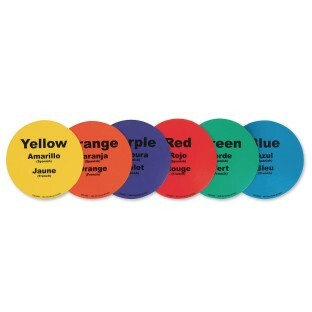 Super tough vinyl spots are 5” X .08” thick. Set includes 6 different colors. 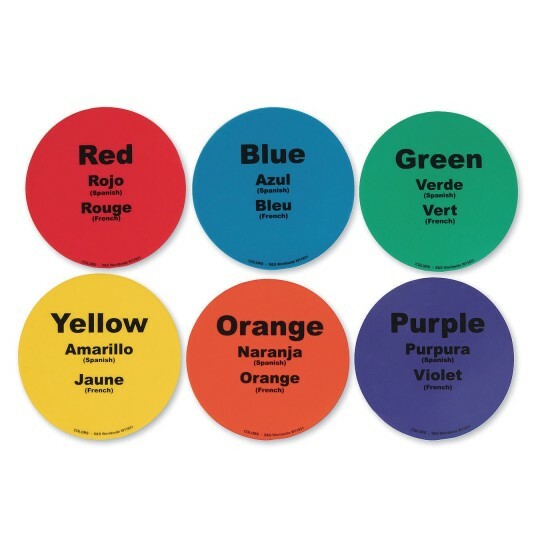 Each spot marker has one blank side and one side with text that indicates the name of the color in English, Spanish, and French.